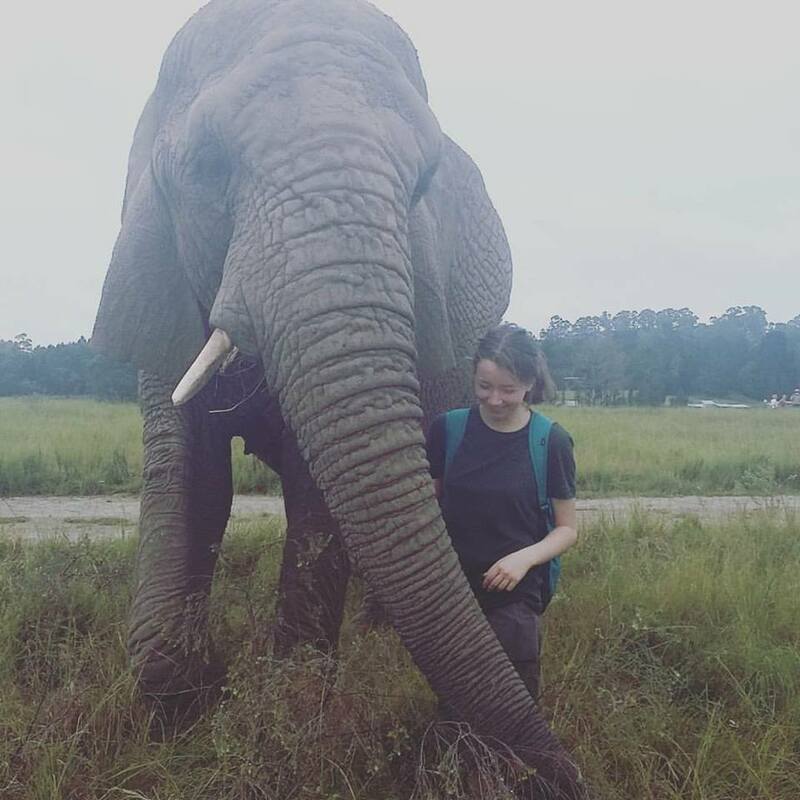 Robyn White spent 3 weeks volunteering with elephants in South Africa. She was a really brilliant volunteer and she has shared her experience with us. Deciding to take a gap year can be daunting but the majority find that it is the best decision they could have made. When I decided to volunteer with elephants in South Africa, I was still very much undecided about what I wanted to do with my life. I was at the point where all my friends were going to university, yet I just couldn’t imagine myself going. The idea of uni didn’t excite me like it did everyone else; it always just made me feel flat and bored. I finally came up with a plan to work and earn money for six months, and then go off to travel the world. But even with this amazing plan, I still had no idea where to start. Anyone who knows me well, knows that I’ve loved elephants since I was small. It was a childhood daydream to go to Africa and look after African elephants. So when I read about Oysters ‘Volunteer with elephants in South Africa’ project, it only seemed sensible to book it right away. I paid my first deposit before I even knew whether my grades would be good enough to go to university. But Oyster were always so helpful and passionate about what they do, that I never doubted whether I had made the right decision. I was nervous on the run up to my trip but it was nothing compared to how I felt when my parents dropped me off at the airport. It was when I left their tear stained faces at the check in desk, that I fully realised what it was I was doing – it was the furthest, and the longest I had ever been from home, and all the reasons people had given me to be scared, were now rushing to my mind: Just the usual ‘You’re going all that way BY YOURSELF?!? !’ and etc, etc… I’d never paid attention to this before (and quite rightly so) but now, as I sat and waited for my flight to Cape Town, I was so nervous I couldn’t think rationally. It turned out, going all that way by myself, was the best thing I could have done. It gave me independence I’d never known before, and allowed me to learn things about the world that I otherwise wouldn’t have noticed had I gone with someone else. More from Robyn and her adventures next week.